In order to characterize various micromorphologic properties of two forest soils derived from different parent rocks in Lahijan, and use the data collected from micromorphological analysis to interpret dominant pedogenic processes. 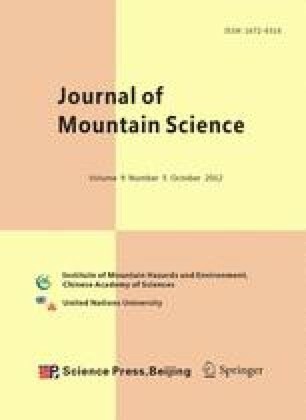 Two representative soil pedons, granite (P1) and andesitic basalt (P2) were selected in a mountain landform with northwest aspect. Samples for thin section preparation were taken from each horizon by Kubiena boxes or clods. Micromorphological analysis of soils derived from these two soil pedons in eastern part of Lahijan (northern Iran) were conducted based on the physicochemical and mineralogical data. Micromorphological properties were characterized using a polarized light microscope under plain and cross light. Thin section study indicated that the nature of the parent material clearly affected the content of clay formation. It also showed that clay accumulation in the Bt horizons was not only due to clay illuviation (argillan), but that strong in situ weathering of primary minerals also contributed to the enrichment of clay in soils derived from andesitic basalt. Comparing the results of clay mineralogy obtained from X-ray diffraction (XRD) with microscopic studies revealed that birefringence fabric (b-fabric) of the groundmass was partly striated due to smectitic minerals in soil of andesitic basalt (Hapludalf), whereas speckled birefringence fabric was dominant in soil of granite (Udorthent) because of the absence of these minerals. We speculate that pores of skeletal fragments or microcracks in P1 were a place for illuvial clay protection. However, the main factor for illuvial clay film disruption (striation and deformation) was biological activity (faunal turbation and root pressure) in P1 and expandable minerals and faunal turbation in P2.